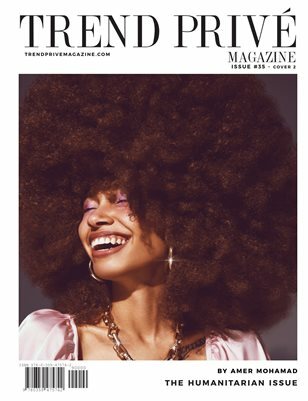 For the past nearly six years, Trend Prive Magazine has been promoting a cruelty-free and conscious lifestyle, including the arts, travel, food, fashion and more. We focused on being a source of inspiration, an educational tool, digital source of support, a movement and a social voice for our global community. While Trend Prive has been empowering and offering a voice to individuals, it has also connected artists and been the platform that opened doors for them. Issue #35 showcases some of the most important issues of the world today. Our amazing contributors brought awareness and solutions, shared stories and opinions, and most of all; they contributed to a world in need. The mission of this issue was to inspire change and to encourage readers to join our community.